Even More LG G6 Models: The LG G6+ and the LG G6 32 GB! 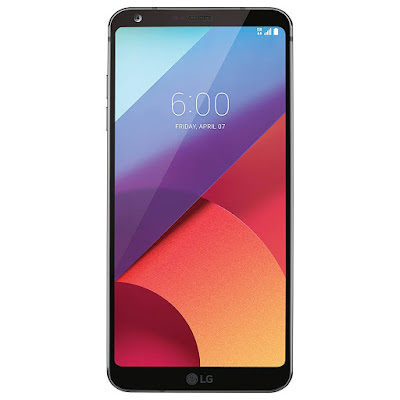 At the beginning of June, I am sure most of you saw South Korean media reveal that there would be two new LG G6 variants, dubbed the LG G6 Plus and LG G6 Pro launching at the end of June. While, these models were expected to be revealed on June 27, LG has gone ahead and launched these two models, branding them as LG G6+ and LG G6 32 GB. The LG G6+ is as of now available solely in South Korea. Its new features are wireless charging technology and 128 GB of internal storage. The LG G6+ will have color choices of Optical Astro Black, Optical Terra Gold and Optical Marine Blue, while the LG G6 32 GB model will have color options of Non-Optical Marine Blue, Non-Optical Mystic White and Non-Optical Terra Gold. One of the amazing feature of the phone’s design is that there is a thin film on it which causes the color of the phone to change when light is incident on it. This provides a truly gorgeous and mesmerizing look of the phone. All other specs of the phones will be similar to that of the original LG G6. Apart from that, all the variants of the LG G6 will receive software updates at the same time. I got no idea why LG didn’t first introduce these two models when they first launched their flagship – the LG G6. Anyhow with LG selling different models of the device in different countries, these new models were not something, that unexpected! While some feature with wireless charging (like those sold in USA), some do not, like the LG G6 models, sold in South Korea. Coming back to the topic, the LG G6+ and LG G6 32 GB has been announced in only South Korea and there is no telling, when your home market will be greeted by the new flagship models! The LG G6+ will cost around 999,800 KRW ($892) and the LG G6 32 GB will have a price of approximately 799,800KRW ($710). LG G7 may have some pretty Big Changes!